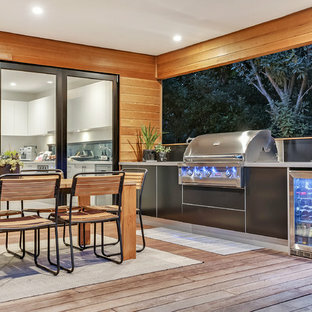 Modern backyard patio in Melbourne with an outdoor kitchen, concrete slab and a roof extension. 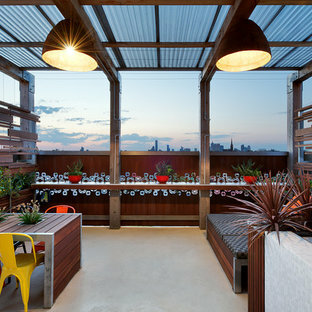 Design ideas for a contemporary rooftop deck in Other with a pergola. Inspiration for a contemporary backyard patio in Sydney with an outdoor kitchen, stamped concrete and a roof extension. 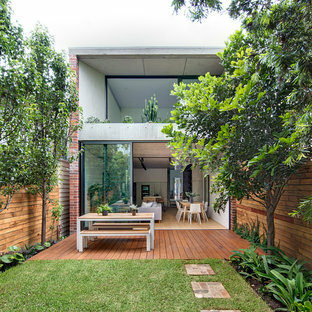 Inspiration for a contemporary backyard patio in Melbourne with a fire feature, concrete pavers and no cover. 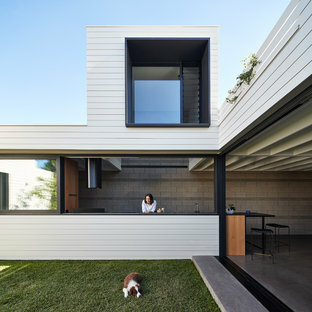 Inspiration for a beach style deck in Melbourne with an outdoor kitchen and a roof extension. Design ideas for a contemporary rooftop deck in Perth with no cover. 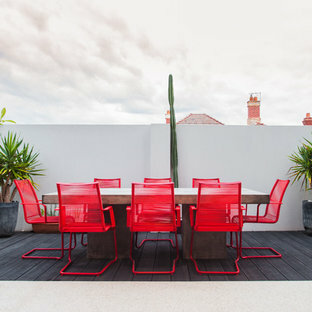 Photo of a contemporary deck in Sydney with no cover. 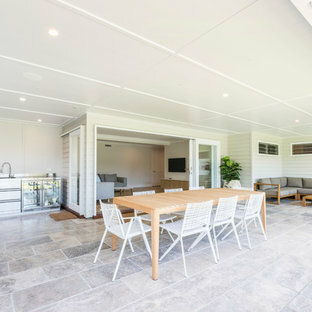 This is an example of a transitional backyard patio in Brisbane with an outdoor kitchen, tile and a roof extension. 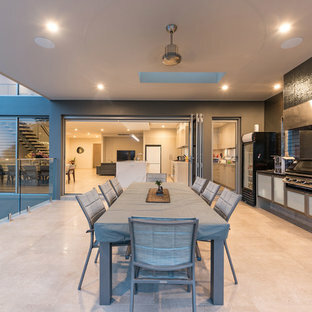 Contemporary patio in Adelaide with tile and a roof extension. Tropical patio in Cairns with a water feature and no cover. Contemporary backyard deck in Perth with a roof extension. Design ideas for a large contemporary backyard patio in Perth with concrete pavers and a roof extension. Inspiration for a contemporary patio in Sydney with an outdoor kitchen and no cover. 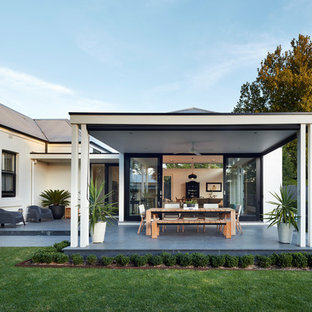 Inspiration for a contemporary backyard patio in Perth with an outdoor kitchen, concrete slab and an awning. Contemporary backyard patio in Brisbane. Our feature courtyard in the trendy suburb of Mordialloc. This outdoor living space features an outdoor entertainers dream set up: 6 burner BeefEater BBQ, Outdoor Heating, BOSE Outdoor Speakers, Mood Lighting & a double door bar fridge. 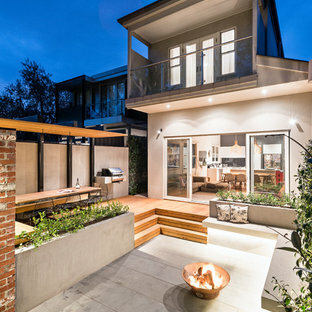 Photo of a contemporary patio in Melbourne with an outdoor kitchen, decking and a roof extension.